Keynote speaker and Governor of Colorado Jared Polis talks to the crowd at the ‘State of the State’ address put on by the Colorado Springs Chamber of Commerce & EDC at the Antlers Hotel on March 22 in Colorado Springs. Governor Jared Polis on Monday announced the creation of a behavioral health task force aimed at overhauling Colorado's system for treating people battling mental illness and substance abuse. The announcement came a day after The Gazette published a special report that found Colorado's mental health system is in crisis, with hundreds of thousands of Coloradans unable to access care in a system that is too often confusing, unaffordable and inadequate to meet demand. An estimated 832,000 Coloradans live with some kind of mental health condition, and nearly 450,000 of them aren’t being treated for that illness, according to a recent Mental Health America report. - GAZETTE SPECIAL REPORT - Mental health's crisis in Colorado. Another study — this time, by the Colorado Health Institute — found about 382,000 Coloradans said they couldn’t get the treatment they needed. The same held true for an additional 67,000 people in need of substance abuse treatment. 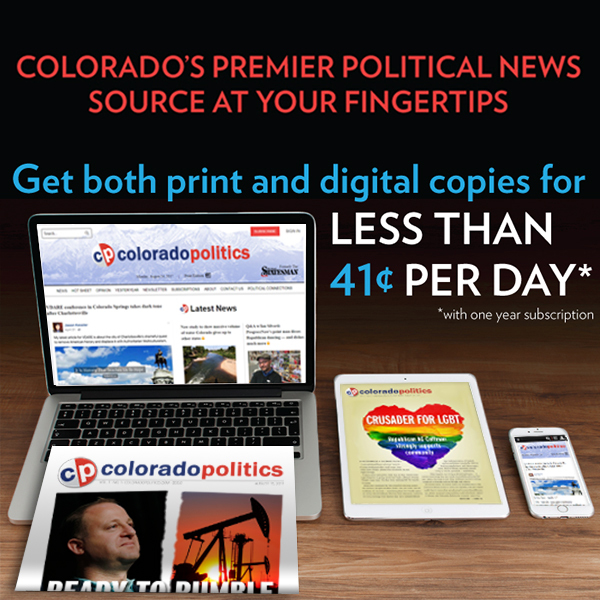 In a letter released Monday, Polis said the state should streamline access to behavioral health services to ensure all Coloradans can "obtain an education, enjoy their childhood, find and keep housing, acquire job skills, find and hold gainful employment, raise a family, stay out of the criminal justice system and live productive, happy lives." "When we as a state fall short of this obligation and spend money on items that don't achieve positive results, we all suffer the consequences," Polis' letter said. The announcement also came four days after Polis announced a "roadmap" to improve the state's broader health care system — one focusing heavily on primary care and preventative medicine as a means to cut down on ever-rising health care costs. In addition, the roadmap seeks to improve vaccination rates and bolster behavioral health and substance abuse programs throughout the state. The Colorado Department of Human Services will spearhead the new behavioral health task force unveiled Monday, which must include members from at least three different state agencies, a representative from county human service agencies and Lt. Gov. Dianne Primavera, the letter said. At least another five state agencies were ordered to participate and provide information as needed. The task force also must include representatives of consumers and families navigating the state's mental health system. Three initial focus areas will be to reform the state's behavioral health safety net system, to improve care for children and to develop a long-term plan to improve care for criminal defendants who either are — or who are believed to be — mentally incompetent to stand trial. A statewide blueprint of reforms is due June 2020, and those recommendations must be ready to be implemented a month later, Polis' letter said. However, a plan specifically for improving competency care is due much earlier — Jan. 1 — to meet the terms of a consent decree the Department of Human Services signed last month with a Denver-based nonprofit, which had sued the state over its failing treatment system. Check back to gazette.com for more information as the story develops. Coloradans rank among the nation’s most mentally ill people. But state efforts to face the problem have been ineffective at best.